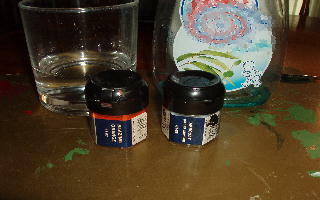 Have you ever found that Games Workshop or your paint supplier doesn't have the colour Ink that you need, or that you inconviently can't visit your store to buy the one you need? Fear not! I have been testing how to overcome this problem, only using the most basic 'ingredients'. 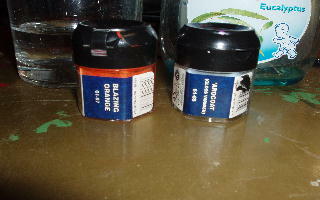 I came up with this after I had spent the week wondering how I could get myself an Orange Ink; some thing that Games Workshop doesn't sell. Then it hit me, Surely there must be some way we could make up a 'Substitute Ink' sort of thing. I experimented around with it in my head and came up with some sort of plan. 2. 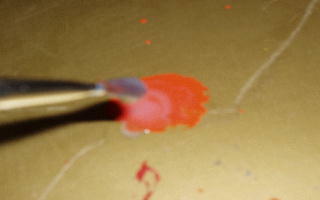 Next up, add around 2 brushloads of water into the paint, mix in well. 3. 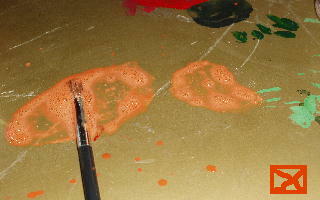 Then, Add one full brushload of Varnish. I am using Games Workshop's 'Ardcoat (Gloss Varnish), but you can feel free to experiment with different brand names and types of Varnish. Mix this in well. 4. The final part is quite tricky. 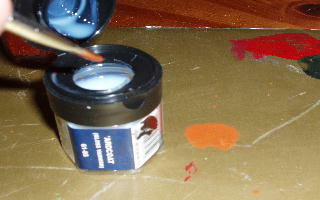 Normally with Inks, it is wise to add Soap liquid to give the ink an even coat on the model, giving it a better finish quality. 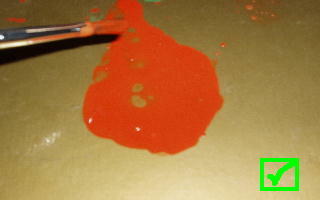 Add some into the mixture, you will notice that it will 'repel' the colour. This will not be apparent after you stir it in. 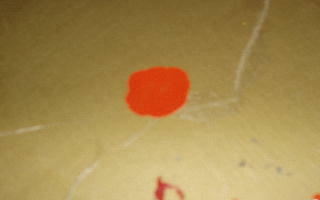 Adding too much can prove to be kind of destuctive to your Ink, it appears bubbly and obviously contains too much soap for it to pigment right. 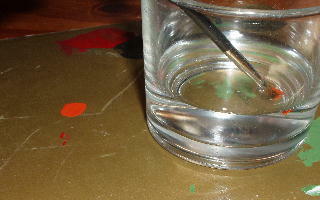 Only add the tiniest amount, you'll know if you have done it right if you see no bubbles. 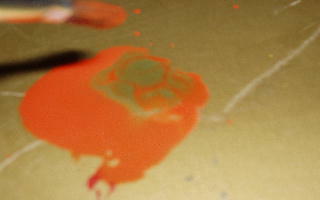 The final result should be similar to Ink, being lower in consistency than Milk. I think the outcome is quite nice, but wouldn't say perfect, I still have work to do in finding the best result. Please leave me some C+C, don't go too harsh though, after all it's only my first article. *UPDATE* I will soon be experimenting with a better version of this article, I have new Ingredients on the way. PLease comment on the current version though.